Taiji: Another powerful image of Japanese activists and Ric O”Barry taking a stand at the Cove during bottlenose dolphin roundup. September is known as WAZA month. 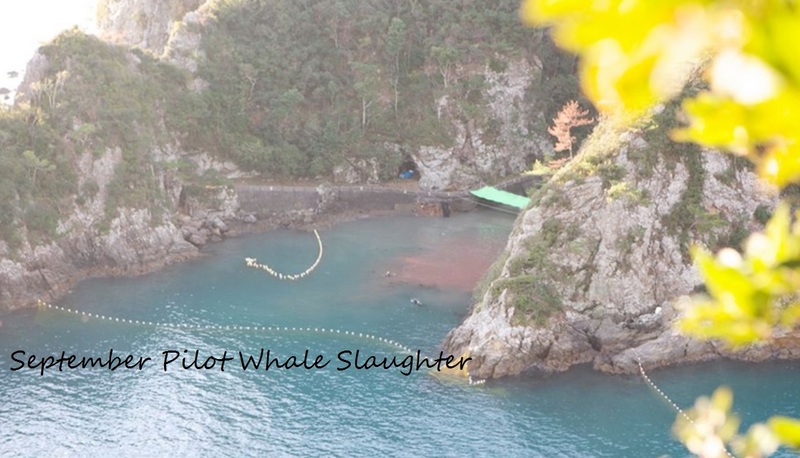 Bottlenose dolphins driven into the cove in September the first month of the drive will not be slaughtered if unwanted according to the WAZA protocol. Dolphin trainers, work side by side with the dolphin hunters of the ISANA Dolphin Hunters Union selecting the young most beautiful dolphins. 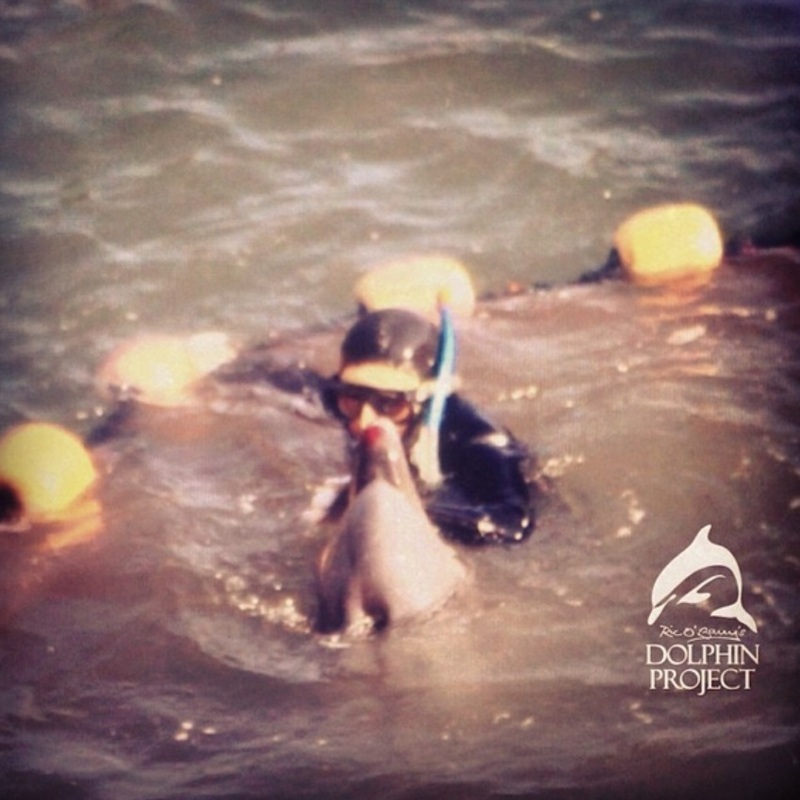 In accordance with the WAZA dolphin protocol during the month of September the remaining pod of bottlenose dolphins are driven back out to sea a brutal process many dolphins do not survive. Despite WAZA proclaiming September aquaria month other small whales and dolphin species are in fact slaughtered during the month of September. 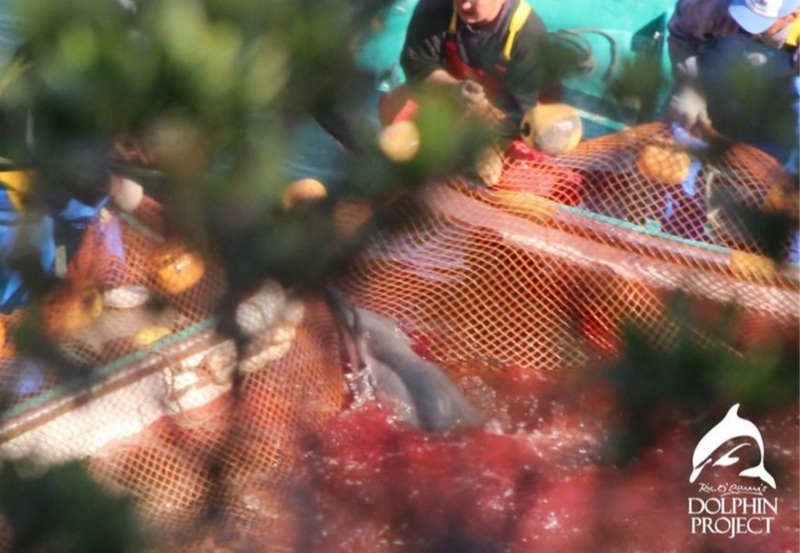 In January of 2014 the worlds eyes, including the people of Japan would turn to Taiji questioning the terrible suffering and it’s role supplying marine parks and aquariums. 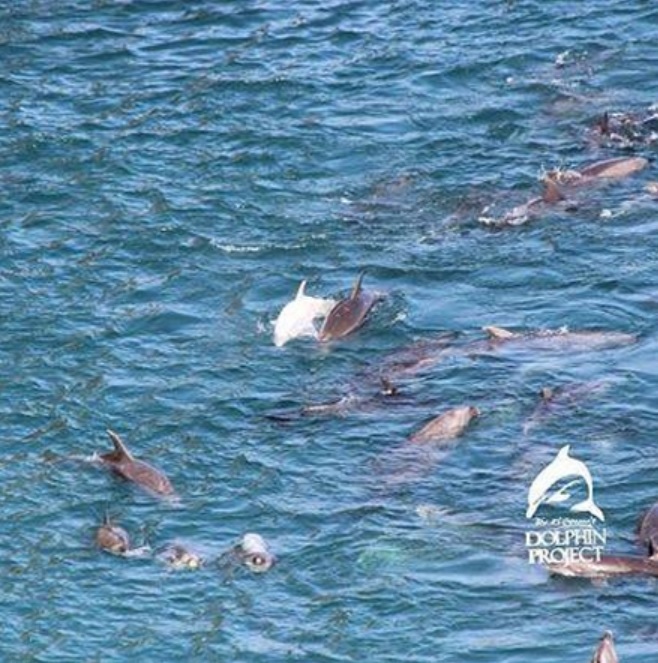 A large pod of approximately 200 to 250 bottlenose dolphins was driven into the cove by the Taiji dolphins hunters. 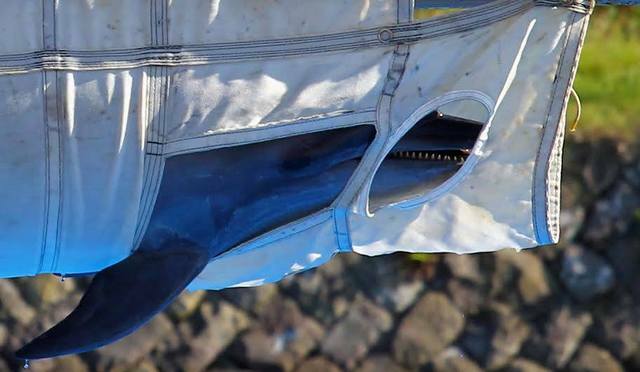 Within the pod was a rare albino dolphin who clung to her mother as the hunters pushed section, after section of dolphins into the cove netting them off overnight. The following day would begin four days of manhandling, blood shed, and suffering as dolphin families were ripped apart, the children taken for lives marine parks and aquariums, the larger members slaughtered for fertilizer, and the unwanted brutally driven back out to sea. The albino baby was the first ripped from her mothers side and netted for captivity. Known as Angel the albino dolphin is now housed at the Taiji, Whale Museum where she was recently visited by Ric O’Barry. Learn more about Angel’s plight in Ric O’Barry’s Blog “An Angel in Hell”. 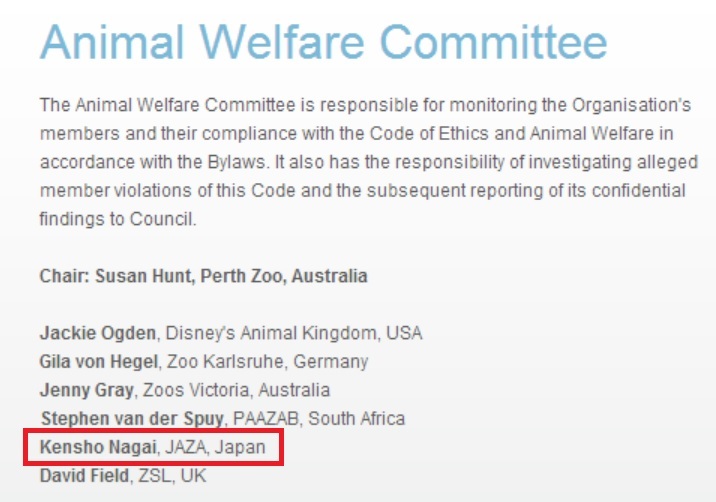 The 2013/2014 drive season made it more apparent than ever that the captive industry is keeping the dolphin drive alive yet WAZA remains silent along with their sister organization, The Japanese Association of Zoos and Aquariums(JAZA), ironically on their board of Animal Welfare Committee, who continues to work closely with brokers of blood dolphins, The Taiji Whale Museum and Dolphin Base Resort who work directly with the ISANA Dolphin Hunters Union. WAZA Headquarters Demonstration/Protest in Switzerland! Please join the event! 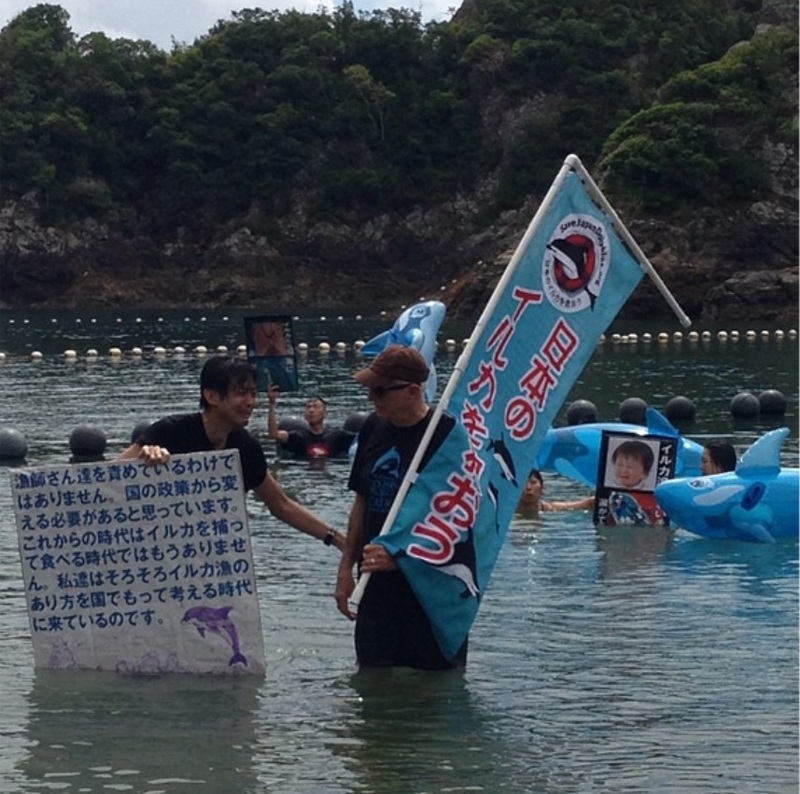 Demonstration against the Japanese drive hunts and cetaceans in captivity – WAZA must put an end to these practices! Through its failure to act, WAZA is responsible for the genocide, capture and abuse of dolphins migrating past Taiji, Japan! 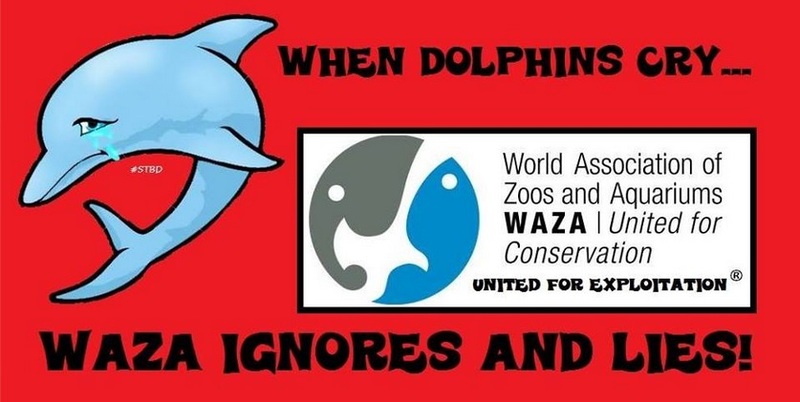 Pledge to JOIN THE WAZA PROTEST IN SWITZERLAND ON MARCH 28TH TO SAVE THE DOLPHINS IN TAIJI! 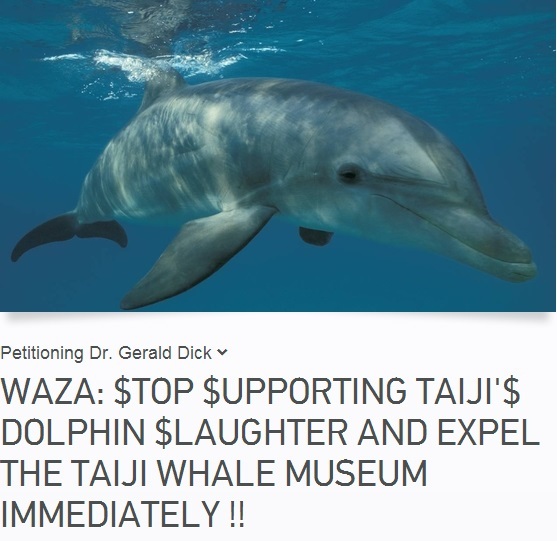 Please sign the petition demanding WAZA stop supporting dolphin drive fisheries. This entry was posted in Dolphins, Whales and tagged Bottlenose dolphin, Ric O'Barry, Taiji Wakayama, the Cove, WAZA, World Association of Zoos and Aquariums by Kirsten Massebeau. Bookmark the permalink.